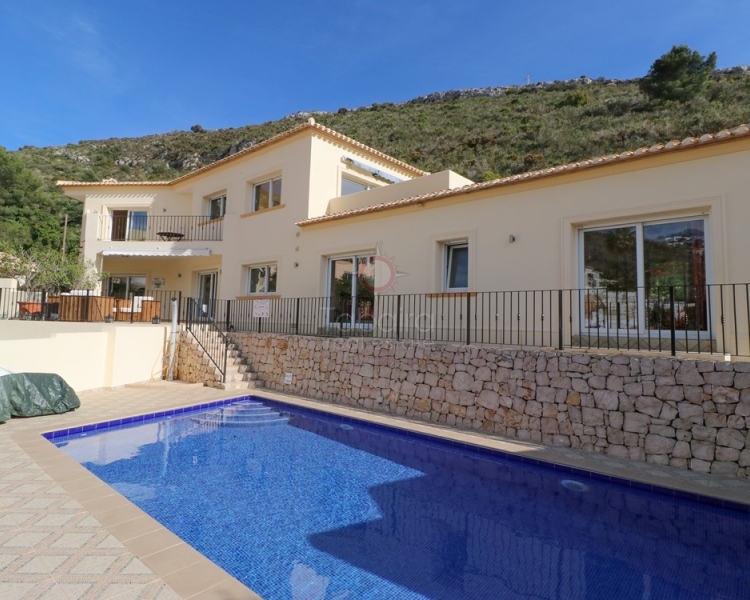 Villa for sale in Portet de Moraira, with three bedrooms, two bathrooms, living room and kitchen, central heating, gas fireplace and ceiling fans. Aluminum double glazed windows, parking, summer kitchen, naya, pergola and pool. 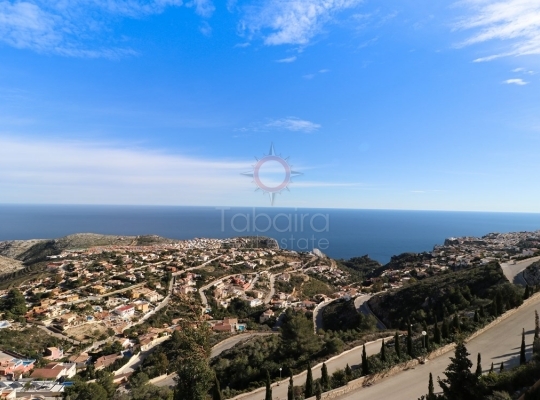 Views to the sea 800 m2 of plot and 230 m2 of construction. 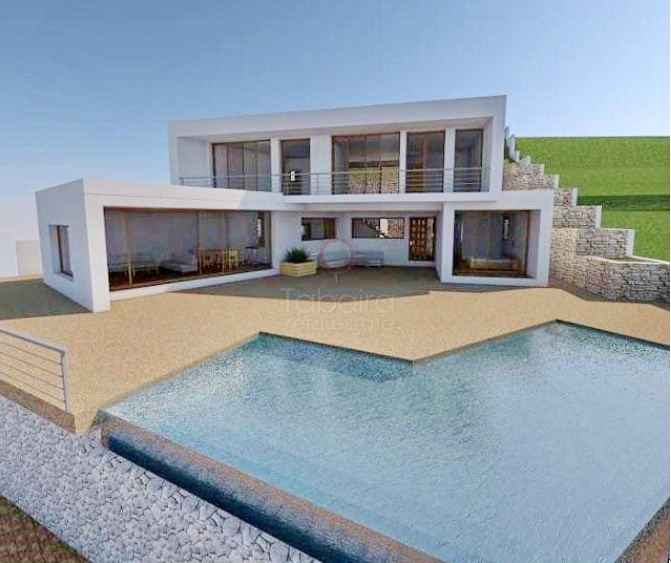 Luxury four bedroom viila for sale with good sea views over the bay of El Portet Moraira. 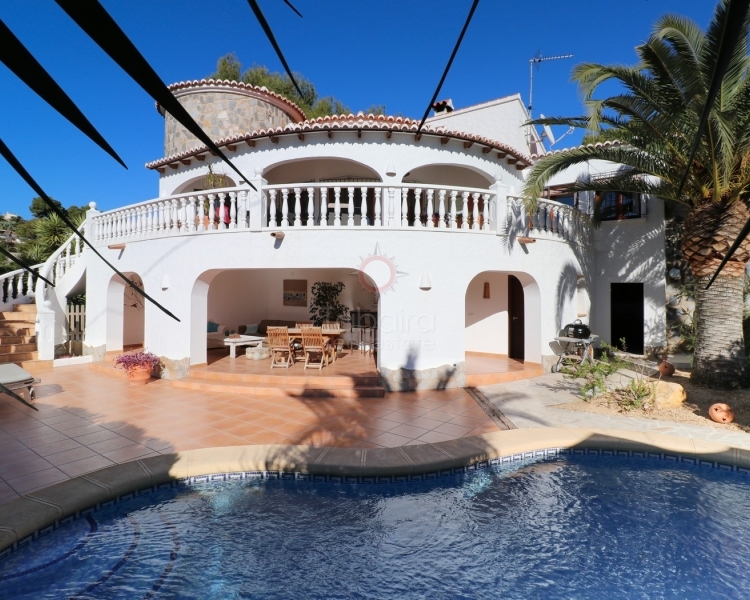 Buy one of our villas for sale in Moraira El Portet will change your lifestyle. El Portet is a paradisiacal beach located in Moraira and sheltered by the Cap d'Or peninsula. This small shell-shaped beach with fine sand and crystal clear waters is ideal for relaxing in any season and sunbathing. It is a quiet and semi-urban beach, with rocky areas and bordered by a beautiful promenade where you will find numerous bars, restaurants of typical Spanish or international food, ice cream shops and shops where you can buy gifts or any beach item suitable to spend a nice day by the sea. You can acquire from sunglasses, to beach towels, swimsuits, bikinis, T-shirts, sunscreen, floats and mats, hats and caps, etc. This spring is the most appropriate time to stroll enjoying the beautiful views of the beach while you savor an exquisite ice cream. At Playa El Portet you have lifeguard and surveillance services, foot and shower washes, toilets, wooden walkways to access the beach, parking and access for the disabled. You also have a variety of fun options. You can go on kayak trips, have fun practicing canoeing or make interesting underwater routes to discover the seabed. In the surroundings of this fabulous beach have been built numerous developments where you can live relaxed, enjoying the sun and the sea. 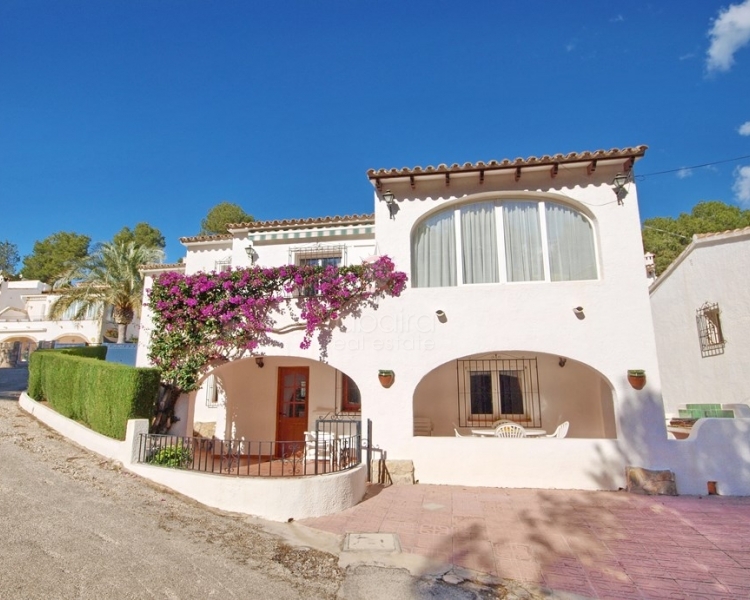 We offer many villas for sale in Moraira El Portet, so you can choose the one that best suits your tastes. If you like water sports in El Portet you have an access channel for small boats. Can you imagine traveling this beautiful coastline on your watercraft? Maybe you prefer to practice more relaxed sports such as fishing and participate in fishing competitions that are organized periodically. 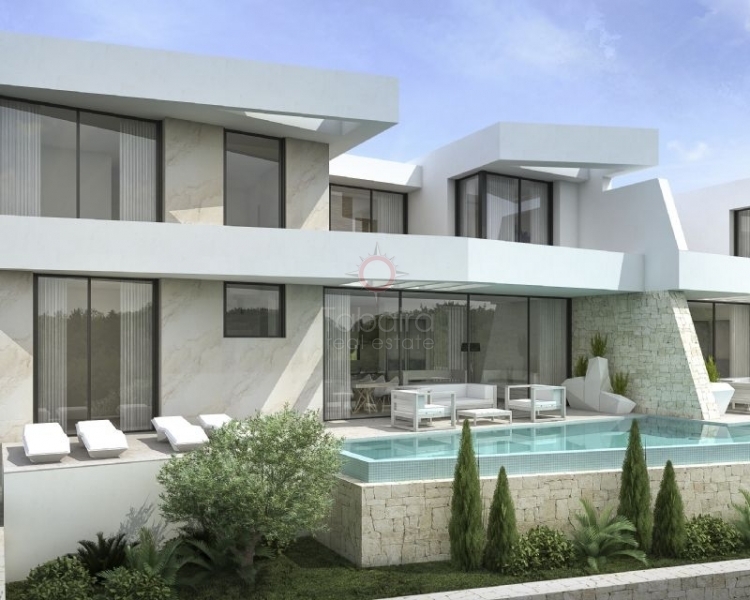 Our villas for sale in Moraira El Portet are built in a modern design with large windows that let sunlight through to all rooms. 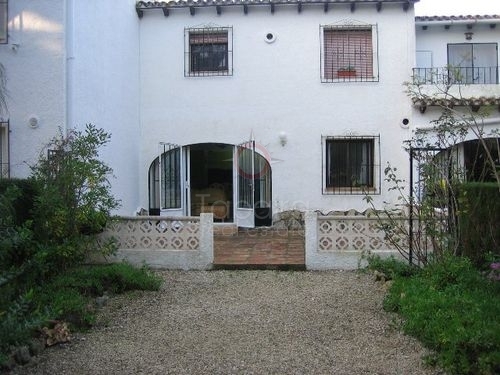 We also offer other villas for sale in traditional style, typical of the Mediterranean coast. 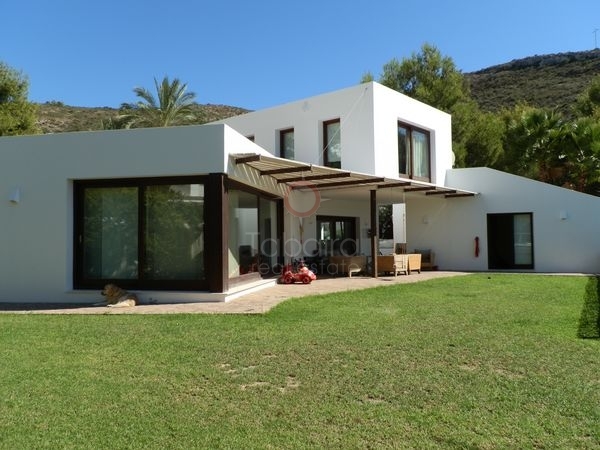 In both cases the villas are very well adapted to the environment that surrounds them, forming perfect frames to photograph and share with your friends on social networks. 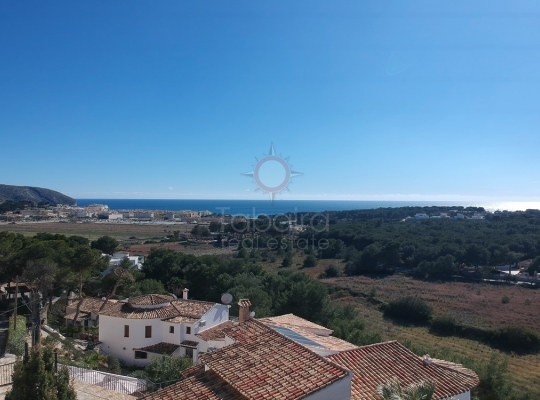 Visit on our website the villas for sale in Moraira el Portet. Each home is accompanied by an extensive photo gallery and a brief explanation of its main features. Do not hesitate to ask us about any questions you may have about the homes that interest you. We have a team of highly qualified real estate agents who will be happy to assist you personally. In addition, they are multilingual so they will speak fluently your language so that you do not have any problem of linguistic comprehension. Address: Calle Iglesia, 4 - 03724 Moraira (Alicante) Spain.